This is the second installment of a new OnMilwaukee.com series highlighting talented public school teachers. Traci McKean teaches third grade at River Trail-School of Math, Science and Technology, 12021 W. Florist Ave.
“River Trail is a K-8, open concept, year-round gem on the Northwest side of Milwaukee,” says McKean. OnMilwaukee.com: How long have you taught at River Trail? 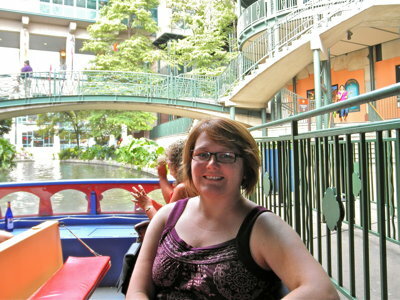 Traci McKean: This is my eighth year at River Trail. I taught first grade for three years and now I’ve been enjoying third grade for five years. All of my teaching experience has been at River Trail. OMC: Where did you go to college? TM: I went to the University of Wisconsin-Milwaukee. Go Panthers! I received my master’s degree from National-Louis University. OMC: Why did you become a teacher? TM: I became a teacher to make a positive impact on our youth. I believe that I have been given a gift of compassion and the ability to see what my students need and help them achieve it. That gift makes it possible for me to make a difference in the lives of children. OMC: What is your favorite aspect of your job? TM: I enjoy the challenge of finding ways to make learning interesting and current. 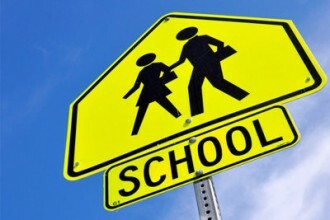 OMC: What, if anything, would you like to change about MPS / public school systems? TM: If I could change anything in MPS I would start with how we disperse technology among the schools. Public school students are amazing and they each deserve to have access to the most up-to-date technology to help them be successful in their futures. I believe that every classroom should have a smart board and a computer for every student. Teachers will need additional training on how to effectively use the technology, but the outcome with our students will be well worth it. Schools need to be given the funds to make the most in their individual schools. School funding needs to be changed. The formula that we are currently using is not providing the same opportunities to every student. OMC: What do you do in the summer time? TM: We recently bought a house, so I spent my summer and breaks painting, planting, fixing and decorating. My husband and I also enjoy traveling. Up until recently, I’ve also had part-time jobs of different capacities that have taken me in many different directions. TM: Yes, I am in front of students 180 days a year, but I spend countless hours outside of that planning, preparing and researching. I am usually at school by 7 a.m. and leave at night by 7 p.m. I spent many nights and weekends analyzing data that I receive from my students and looking for ways to adjust my teaching to best meet their needs. As for my insurance. No other profession is questioned as much as educators. Yes, our insurance is expensive, but we do not set the prices. The district office and our union need to come together and try to find a lower option. OMC: Do you have a touching story about how you impacted a student’s life? TM: I love reading and I pass my love of reading onto my children each year. Last school year I had a young lady in my class who did not enjoy reading and struggled to get on grade level with her reading skills. I worked with her each day to chose a book that interested her and was at her instructional level. Over time and instruction, her reading improved and in late January she came up to me at the end of a school day and told me that she now loved reading! At the end of the year when I did her final testing she had jumped two and half years in reading abilities. OMC: How is teaching different now from when you were a kid? TM: As I think back to my experiences as a child in public schools in Milwaukee County, I was fortunate to have access to all of the specialists. Each school week we had art, gym, music and occasionally a foreign language. This enhanced my experiences, made me a more well-rounded person, and I was able to express myself in more ways than just academically. OMC: Anything else you’d like to add? TM: I would like to thank all of the fantastic parents that I have had the opportunity to work with. I enjoy working hand-in-hand with my parents. We share a common goal. We both want the best for our children.